I went to Fresh and Easy to get my free 13 pound turkey with $30 grocery purchase and couldn’t resist picking up some eggnog. Before I even had my first sip of it, I began fantasizing about eggnog ice cream. I already had the ice cream maker in the freezer and this recipe doesn’t require cooking so I didn’t have to wait too long. 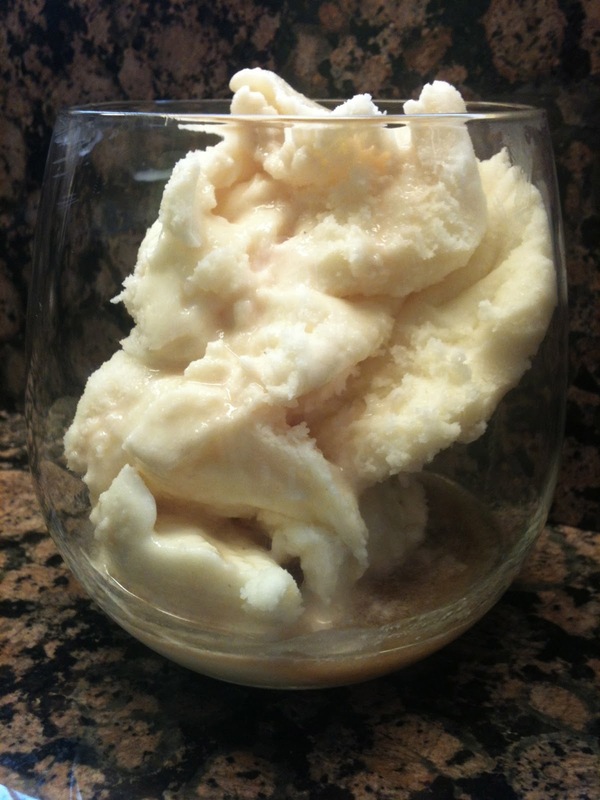 I just mixed everything together with a whisk until the sugar was dissolved and poured it into the ice cream maker. I admit I was a little anxious that it was taking so long so I put the ice cream maker into the freezer and let it run in there. Fortunately the power cord is nice and long! The result – delicious, especially with a shot of rum!